Wellington Street, Nassau, The Bahamas. See videos and photos. Barrington Brennen, Son: My dearest father was a wonderful father. He taught me how to hold a saw, use a hammer, install flush toilets, paint, do electrical and plumber installations, change a car tire, plant banana shoots, drive, etc., etc., etc. I have fond memories of his commitment to Jesus, the church, and caring for others. He was an outstanding builder. His last significant post was Chief Director of Housing at the Ministry of Housing, Government of The Bahamas. He was the one responsible for Flamingo Gardens and Elizabeth Estates. He was the one who drew the plans for tent sites for evangelistic series for decades. Vernessa Rahming Granddaughter: My dearest grandfather father, Alfred Addington Alexander Brennen, age 86, died ,He has been a part of my life for 41 years along with my two sisters and eight cousins and there wives and husbands and his great grands our children he will be missed but he missed his wife more Grammy was his world he loved and so did I. Pappy you will be miss but not forgotten. Pappy was a funny always busy and admire his independence miss you he was a baker loved to make cakes he was always sweet mouth. Marguerite Samuel, Granddaughter: Our family has been privileged and blessed to have had a grandfather like Alfred. A. A. Brennen. He was talented, energetic, loving, playful, determined, persistent and so much more. We all knew that he loved us because of the attention he payed to us. My most vivid memory is of him lifting me into a handstand above his head. I will never forget that moment. Pappy could tell you which plant or herb to take for whatever ailment you were suffering from and how to prepare it. He also passed on many useful skills like carpentry to his children and grand children. He made it cool for girls (children, grandchildren and great grand children and all) to use their hands and develop these same motor skills. I think it's safe to say that all of us "girls" know how to use a hammer, a saw and more. We didn't have to worry that Pappy would treat us like we were about to break, but we also knew that we were his princesses right after his Queen and wife, Mary Brennen. I also admired in Pappy his incredible legacy of physical strength. He was a long distance runner, and an a avid swimmer In the ocean, the fish new him well and called him by name. Pappy's hands were so strong that if you dared him to a handshake squeezing contest, you might be leave temporarily paralyzed. He passed his strength on to his eldest, Claudia Seymour (Brennen) through her giant, bear-hugs that leave your feet dangling and your lungs begging for air. Pappy was a story teller, and we could always count on him telling true stories that could make you wet your pants from laughter or from fear. But I'm not done! Pappy was a baker. His pound cake was second to none. I always looked forward to his baked goodies around the holidays especially. And boy, let's not talk about his Scallop salad with his not-so-secret ingredient. My mouth waters just thinking of it. There is so much more to tell about my Pappy, but I will leave that for the rest of my family. We all knew that the Brennen's door was always open. Any and everyone was welcomed into the house where he and his wife teamed up to make sure that all who passed through their doors were loved. I am honored to have known my grandfather who lived life to the fullest and made a positive difference in many lives. Yes, this man was my pappy, and everyone's pappy, and I am proud to have shared him with the world. His memory will be forever cherished. I was so anxious for the school day to end just to know what remedy he has to help build my grades up. Two forty-five came and Grammy was parked out the gate as usual on time and I was still anticipating Pappy’s resolution. Arrived at my grand-parents’ home and Pappy was still at work until five, and due to my mother’s tardiness from work; I was still by Grammy doing homework and having dinner and supper all in one plate. Well at five thirty I heard the truck pulled up as I sat in the TV room waiting for him to come through the door; pretending to watch the television I saw him kiss Grammy and asked her how was her day and whose here with her. She said “Christina is here with me. I picked her up from school and Claudia always late from work. But now am cooking dinner for you; how was your day dear?” “Ok a lot a work to be done, but it was ok” he responded. Pappy said “Hear what I am going to do. If you bring home As or Bs you get 10 dollars for each subject.” “Ok. Deal pappy” I said. We shocked hands on it and then before walking out the room he turned and whisper saying hey one more thing, don’t tell anyone, not even Grammy. This is between me and you ok.
Na the end of the semester came time for report card day my dad went and picked it up he was happy no cut hip dis semester praise god so he gave me a big hug and kiss and said Christy you did good. Now when he gave the report card to me I didn’t know what to expect, I was praying for at least 20 dollars worth of A’s and to my surprise I got close to Hundred I cud only see dollars signs cu-ching!! money in my pocket. The next day got home from school normal routine with Grammy; when I reach by Grammy she let you relax for a few minute, but no TV go to the table and get your homework done that was the rule no TV till homework properly finished and when I mean finished my homework is checked by her then she will give the approval or do it again; in my case it was always do over again so I just stayed at the table until dinner. It was homework school after school. keep up the good work ok; ya broke me but don’t worry about dat. yes pappy while I kissed him on his check with a big hug. That semester was great I continued to get great grades and he continued that until I graduated. Pappy was my secret motivation of studying hard; my parents thought I was studying to learn I was studying to get paid. But he had a lesson behind it all he was teaching me being motivated you get results and working hard at something you get even greater results. He was an awesome Grandfather always had a remedy to solve a problem; he will be missed greatly. Sleep in Jesus, Triple A.
Gerard Brennan, Grandson: I will always remember and cherish the summers I spent with Pape on the construction sights. I especially enjoyed riding in the front passenger seat of his bus, picking up workers on the way to the construction site. He was a mentor to me and many others before and after me. I loved listening to his stories. Pape was proud of his heritage and made sure I understood the significance of my ethic diversity. Because of Pape's influence, I embrace cultural differences. In the bus and on the construction site, Pape demonstrated respect, leadership, and compassion in the midst of adversity. He truly cared for his workers and his customers. He was no stranger to hard work, leading by example. Although many appreciate Pape's contribution to the Bahamas in regards to building and excellent craftsmanship, he was much more passionate about building relationships with his family, friends, and relatives. Like Grammy, Pape was considered a mentor to many, always nuturing and selfless. He sacrificed to ensure his children were also able to contribute to the community as well. There was no question how much Pape loved Grammy. They enjoyed over 60 years making sure their home was built of love, respect, compassion, and most importantly, God. I will always remember Pape for his physical strength and his strength in character. I am proud and comforted to know that I have a bit of him in me as well. He taught me that a man's strength is demonstrated not only physically, but though his commitment to his family and his community. Edith Roach & Family: Truly the Brennens’ door was always open to all and sundry, particularly on Sabbaths. From the first Sabbath, several years ago, when Claudia invited me to have dinner at her parent’s house, I scarcely missed a Sabbath. The Brennens and I, though not as often, still have Sabbath dinners together. I remember how as youngsters, Claudia, Judith and Anne spent days with my family. Three well-mannered girls, always dressed in their mother’s hand-crafted outfits. The Brennen girls and I spent much time together. Sister Brennen always treated me special – quiche without cheese because of lactose intolerance. I felt at first that enemies were being created, but no, even if they thought it, dislike for the special treatment I got was not shown. Peanut brittle and benny cakes along with a set of pot holders or an apron, hand made by Sister Brennen, could be expected at Christmastime. Then Pappy with his special pound cake knew that I could only have a small slice. Pappy was a loving, supportive helpmate for Grammy. He was side by side with her in the kitchen preparing the Sabbath meals. When Grammy could no longer attend Sabbath services and we sat at the dinner table awaiting his arrival from church, he always greeted her with a kiss. No wonder he missed her so much when for his last birthday the celebration would have been at least the cutting of a cake, he said that he could not celebrate because his wife was not here. Within a short 24-hour span after his 86th birthday, the same age as his dear wife when she died, he passed away. On behalf of my family, I extend condolences to the Brennen family. May God comfort and keep you. Otencia and Marlon Robinson and our daughter Rolicia: I have so many fond memories of Alfred Brennen. His passing really comes as a sad news especially since I had enquired of him the day before. I was the Brennen’s neighbor for the five years that I lived in the Bahamas and taught at Bahamas Academy. The first time I saw and heard Elder Brennen was at the Parkgate church as he was the Personal Ministries Leader at the time. He had such passion for spreading the Good News of salvation. Little did I know that he was my neighbor and would certainly become one of my sure rides to church. Some Sabbaths he would call to tell me what time he would be ready, other Sabbaths I called to see if he was ready. On our way to church Elder Brennen shared so many of his childhood memories, his conversion story and of course how he met and fell in love with his dear wife and the many letters she wrote to him. What a love! We shared many Sabbath meals together as I gladly accept his and Sis Brennen’s invitation to lunch. Other days I would see him walking around in the yard and he would share bush medicines and tell of his days on the construction site and the things the men would say. He was such a patient and kind man, full of wit and had a good sense of humor. I am so happy I was privileged to have spent such precious time with such wonderful neighbors. Sleep on Elder Brennen…the morning will come! The Brennen family please accept our sincere condolences. May you find comfort in the loving arms of our Savior and Lord. Roger and Cassandra Forbes & Family: We were saddened when we learnt of the death of your loved one, yet happy because we know that those who died in the Lord will rise in the first resurrection. When we remember Bro. Brennen, we think of a stalwart M. V. Sponsor and the many socials and banquets he organized. The main features of those banquets were animal movies showcasing Lassie, a monkey or a horse. We also remember a visionary Pathfinder/Master Guide Director. We can see him now in our minds’ eyes pointing out the various stars. We enjoyed the picnics and the weenie roasts. They were the good old days and we will always cherish them. Please be assured of our prayers during these difficult days. Be encouraged as you meditate on John 14:1-3. Remain faithful so that when our Lord comes we would be ready to live with Him eternally in the earth made new. We extend our heartfelt condolences. Glenalee Strachan: Please have my deepest sympathy on the passing of your father, dear Bro Alfred Brennen. Tis legend of a man lived a life that is worthy of praise. I can remember so vividly my first meeting him, the very handsome gentleman with the jet-black wavy hair and always smiling. God in His tender mercy knows exactly what He’s doing. Your father and mother were inseparable in life and so this was meant to be. Who are we to question God? Bro. Brennen lived a very colorful life, a life given in the service of God and others. I could see him now, walking around his home early in the morning as I would pass and shout out his name in greeting. My grand-children would say Grammy who’s that and I would tell them that that man and me go way, way back. Be encouraged and know that my prayers are with you and all the siblings. Best wishes always. Kimberley and Curtis Bryan: breath caught in my chest, and I couldn't breathe for a few seconds when I opened this mail and saw Elder Brennen. My husband refused to tell me the news until after our morning walk and we were getting dressed for work this morning. I went to bed very early last night so I wasn't up when Keturah called. He recalled that I told him your father and I had a couple long talk sessions earlier this year. One right after Sis. Mary died and one about a month later. I vividly recall the latter. Elder Brennen came into my office around ten that morning and I couldn't get over how nicely dressed and handsome he looked that day. He was wearing a corduroy brown jacket, orange colored shirt and tan pants and of course his beautiful grey hair, every strand was in place. We talked for a long time that day. He talked about his wife, about losing her and I sensed his pain as I watched him as he spoke. And then, his tears began to fall and my heart broke into a million little pieces for him. You see, deep down in the heart of that nicely dressed, handsome looking gentleman that walked so lively into my room, was a heart that was deeply missing his lifelong partner; his darling wife, and life as he knew it was changed forever. I never thought that that was the last time I would see him in the office or had a one on one conversation with him. Never thought that this time for him would come so soon. Like you said, he is now sleeping in Jesus. I know my husband will express condolences on behalf of our family, if he hasn't already done so, but please accept our heartfelt condolences and prayers to you, Claudia, Judith, Ann and your families. May God continue to be with and comfort you all. 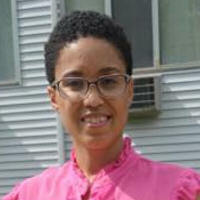 Denise Greene: Pastor Brennen and family may God comfortable you during this time of sadness. Blessed are the dead who die in the Lord! It is my prayer that this is the reality! Be comforted. Ronnie and Patricia Henry, Jamaica: Condolences to the family from Pat and Ronnie. We have fond memories of Bro. Brennen and we are sharing your loss. Together we embrace the blessed hope and we can sing assuredly that "the golden morning is fast approaching." You are in our prayers. Bernadette Johnson Blessed morning Pastor Brennen ! Please have our sincere condolences on the passing of your father . He is resting from his labour and one day very soon we will all meet in the air on our way to glory . We love you and your family , thanks again for all the strength you gave us the Johnson family . Dr. Joseph and Mrs. Ethel Evans: On behalf of my family, Joseph, Jene' and Joseph,II, we extend sincere condolences to the entire family. I will always remember Super Sabbath at Grant's Town when Bro. Brennen sang "Until Then . . . My Heart Will Keep On Singing". That song was so touching. Love. Deborah Abangntuen: On behalf of my daughter and I, we would like to extend our greatest sympathy to you and your family. We wish God continued grace and mercy on you as you look forward to meet Jesus and your father and mother when He returns. Anniemae Armbrister & Family: Please accept our sincerest condolences on the loss of a Great Patriot, Bro. Alfred Brennen, Pappy as we called him. It give me such great joy as I reflect on the life of Pappy. We watched as he sang his last song in Grant's Town church "Until Them" on Super Sabbath Every time we encounter each other is always a time of laughter. The last time we laugh together was on Super Sabbath as he was leaving, he stopped in my office and whatever we talked about again he made everybody in my office at that time laugh out loud. We truly appreciate that not knowing that would have been his last time he made us laugh. We thank God that he passed our way. May the memories of Pappy linger in our hearts for a long time. May the hearts of the Brennen family be comforted as the days go by. 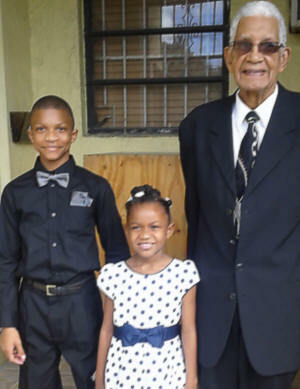 Dr. Indira Minus-Grimes: Dear Pastor Brennen and Family, Please accept on behalf of my family and office staff my deepest condolences on the passing of your father, Mr. Alfred Brennen. You and rest of the Brennen family will remain in our thoughts and prayers. Alfreda Knowles and Family: Please accept our sincerest condolences and sympathy on the passing of your father. He was a great legend and his memory will always be with us. May your entire family know that we love you and will continue to pray for you. 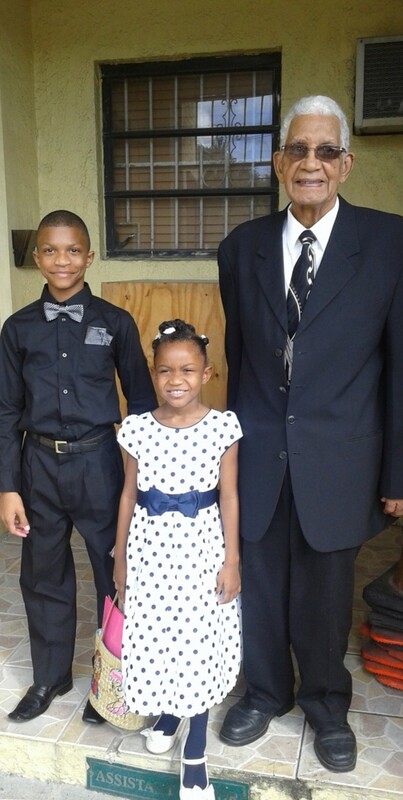 Matthew and Shakara Allen: We would like to express our condolences on the passing of your father. We pray continued strength for you and your family during this difficult time. Christopher Brown: Please accept my sincere condolences on the passing of your father. I count it a privilege to have had him as my prayer partner at the recent Week of Prayer and Wednesday night meetings, and to have been blessed by his message in song at the church's 85th anniversary. I will always hold fond memories of the special impact that he had on my life as I was growing up. It was through his leadership in Pathfinders and Master Guide, his love for the cosmic and nature which he shared with me and other young persons, that I was able to have a better appreciation of the the awesome creative power of God and his love for us. You can have the assurance that he now sleeps awaiting the coming of his Lord and Saviour. May you and your family continue to find comfort in God the Great Comforter. Alicia Ferguson: On behalf of my family, and the officers and committee members of the South Bahamas Conference South Federation, we wish to extend our heartfelt sympathies to you and your family on the passing of father, Mr. Alfred Brennen. Our prayers and thoughts are with you during your time of bereavement. Rodman Forbes: Pastor Brennen, may your heart and soul find peace and comfort as you reminisce on the many positive memories of your father over these many years, and may you and your family be comforted by the outpouring of love surrounding you. Valentino and Tanya Hanna, Renee and Audwyn: Dear Barry, please accept our deepest condolences. I worked with brother Brennen on a multi purpose structure committee some years ago and he was always a voice of wisdom and vision. He was a good sensible intelligent God fearing man. May he rest in peace until Christ comes again. Our best to your entire family. With love. Barbara Wilson: On Sabbath, November 14th, I saw your father, Mr. Alfred Brennen for the first time in years! He sat in our Sabbath school class at Grants Town and participated actively along with the rest of us. We were blessed by his words of wisdom and truly appreciated his input. He looked happy and well! I am so sorry to hear of his passing. Please accept condolences from me on behalf of my husband, Patrick, and the entire Wilson and Gibson family. We are praying for you and your family that God will grant you peace during this very difficult time. God is with you all, and He is in full control! Be blessed! 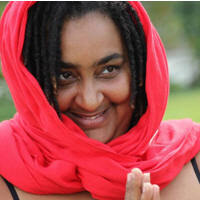 Marva and Marvette Farguharson: Just saw your email. On behalf Marvette and I, I wish to extend our condolences and to let you and the family know that you are in our prayers. God bless. Yvon and Alice Cherenfant: Bro. Brennen was a great humble Christian man. We thank God for his services. He will always be remembered, Be comforted. God is a good God. Please accept my condolences. And may His strength be multiplied in you. Sandra M Bullard: Pastor Brennen, Our deepest sympathy from my family to yours. Your Dad will sorely be missed and many many in and out of the Adventist faith will share fond memories of Mr. Brennen. His commitment to God and the Adventist faith, his devotion to his wife and family, his work ethic as a contractor, his music and singing camping and history lessons among so many other things. May you be comforted in the knowledge of your faith and love for God you will see him again. Pastor Paul & Mrs. Joan Scavella and Family (South Bahamas Conference): We are deeply saddened by the passing of a warrior of Christ. Elder Brennen was the epitome of committed servitude and wit. His immeasurable contribution to the work of God stands as a memorial to his dependence on the Master Architect. Over the decades, his skills in building, his ability to mend, create, and repair things were so evident in his drive to mend broken people. Our church has lost a dedicated servant who willingly served his church in various capacities. We are thankful for his life of service and endearment. There are so many of us who worked with Elder Brennen and can attest to his congenial manner of doing God’s work. Cherished memories will be long etched on the corridors of our minds. So let us live to see him again where the joys of heaven will be forever. So, Claudia, Barrington, Judith, and Ann; you are now experiencing the loss of another parent in 2015. May the God of comfort and joy be with you and the many family members including former worker, Pastor Anson Albury. On behalf of the South Bahamas Conference, I recommend John 14:1-3 as a reminder that we will be together with the Lord, if we remain faithful. God bless. 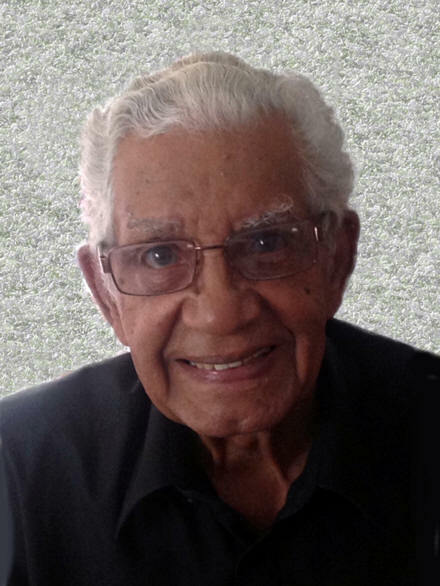 Cannon Harry and Mrs. Julie Ward (Anglican Church): Julie and I extend to you, your siblings and entire family circle, our condolences on account of your father's passing. Pastor Martin and Mrs. Henrietta Hanna and Family Michigan: We sorrow with you because of the death of your father, Alfred Brennen. Our sorrow is mixed with thanksgiving for his wonderful life and his heritage which he has passed on to you all. We also sorrow in hope because of the promise of resurrection life in Christ. Weeping may endure for a long time before joy comes again. In the meantime, remember, tears are a language that God understands. Dr. James and Audrey North (Michigan): My heart goes out to you, Barry and Annick and the rest of the family. Your Dad must have been a very fine Christian gentleman, husband, and father. I wish I had known him. He was a very precious gift. I am sure his death leaves a big void in your lives. May his memory comfort you in your grief. Your tears are precious to God. Ps. 56:8. Pastor Silas and Mrs. Ruth McKinney: We are so sorry to learn of the passing of your dear father. God understands our sorrow. We know that Brother B. will be greatly missed by all the members of the family and friends. Please accept our sincere sympathy. We share your loss. God’s promises encourage and comfort us when we mourn; may we cling tightly to these wonderful promises. May our loving Father in heaven enfold the Brennen family in His arms of love and strengthen you in your hour of grief. Let us all be faithful to the end when, if we are faithful, we will see our loved ones again – never more to part! What a glad reunion day that will be! Reverends James and Angela Palacious: You are in our prayers, my brother. May you be comforted. Pastor Patrick Paul (Assemblies of God, The Bahamas): I wish to extend, our sincere sympathy and condolences on the passing of you father, May you and your family see the hand of God, even in the passing of your love one. Blessing on you and the entire family during this your time of bereavement. On behalf of The Assemblies of God in The Bahamas Including The Turks and Caicos Islands, may his soul rest in peace. Pastor Anastasia Bansi: Please accept my condolences. And may His strength be multiplied in you. Pastor Terri Tanis: My Pastor, on behalf of my dear wife Samantha our little girl Samiyah and the entire Exuma District we wish to extend our heartfelt condolences to the Brennen family in this your time of bereavement. We thank God for Mr. Brennen's life and his contribution to the advancement of the Gospel Commission personally and in his children. We look forward with you to that glad reunion day.